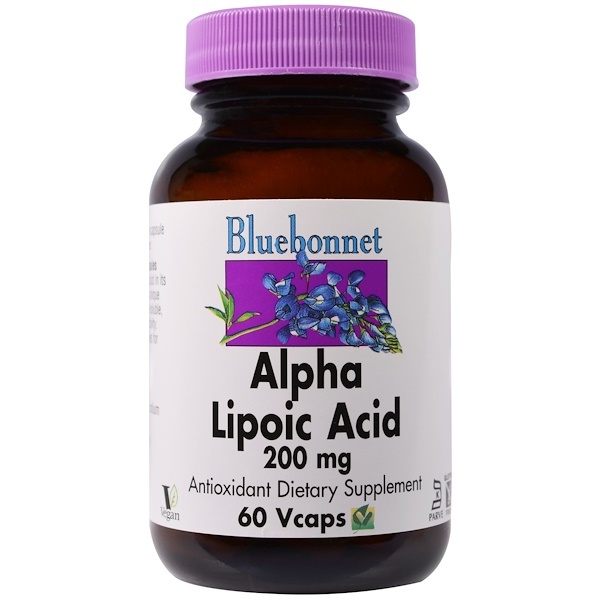 Bluebonnet's Alpha Lipoic Acid 200 mg Capsules provide the powerful antioxidant alpha lipoic acid in its purest crystalline form. 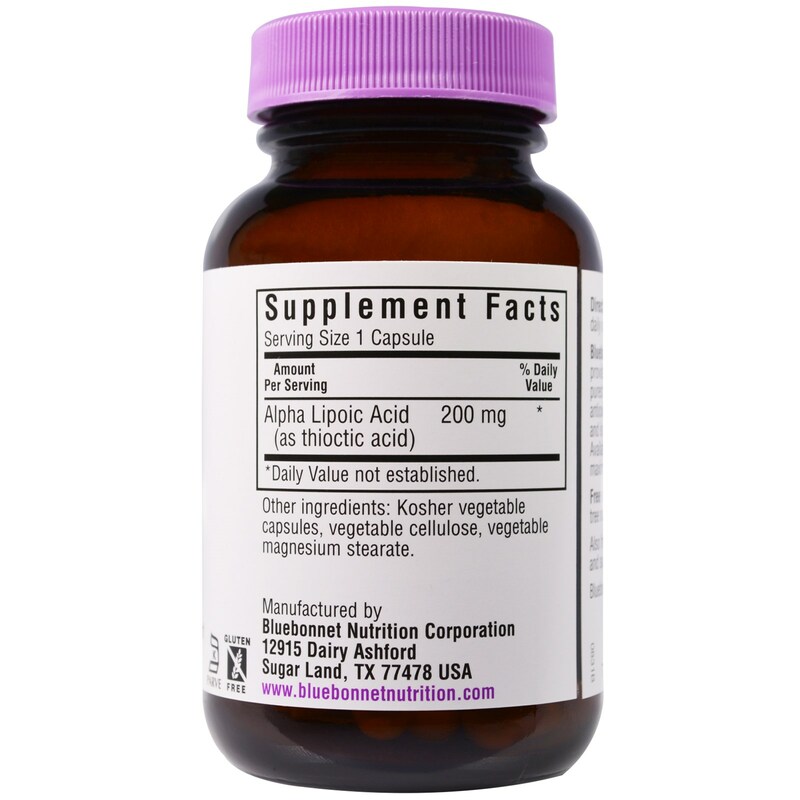 Alpha lipoic acid is a unique antioxidant that is both fat-soluble and water-soluble, and is known for its free radical scavenger activity. Available in easy-to-swallow vegetable capsules for maximum assimilation and absorption.